Weather Windy until tomorrow morning and rain starting this afternoon, continuing until this evening. Located inside of the Wickford Harbor, Wickford Cove is home to some of the finest marine facilities on Narragansett Bay. 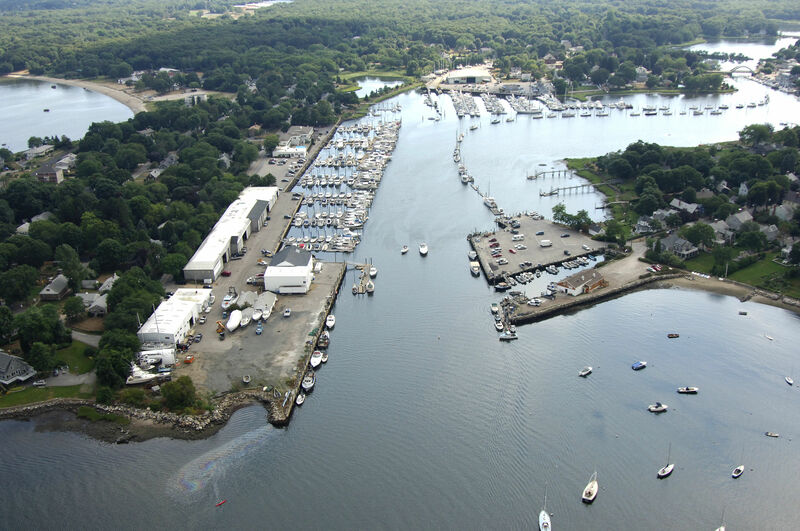 One of two tributaries that feed into Wickford Harbor, Wickford Cove is located to port just beyond the breakwaters around Marker Point. 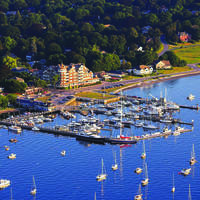 Wickford Cove and the town of Wickford are 17 miles due south of Providence and nine miles (as the bird flies) northwest of Newport. 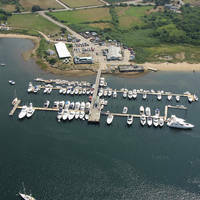 Wickford Cove has three marinas, and all of them have facilities for transient guests at their slips. Also inside Wickford Cove is a uniquely shaped mooring chains that snakes its way up into the cove past both marinas, although most of them are private. Wickford is an interesting town to visit, with dozens of beautiful 18th-century homes lining the streets. From West Passage, about three miles west of Conanicut Point, flashing green 1 marks the south breakwall at the inlet to Wickford Harbor (red gong buoy 2 marks the mid channel inlet and flashing red 4 marks the north breakwall). 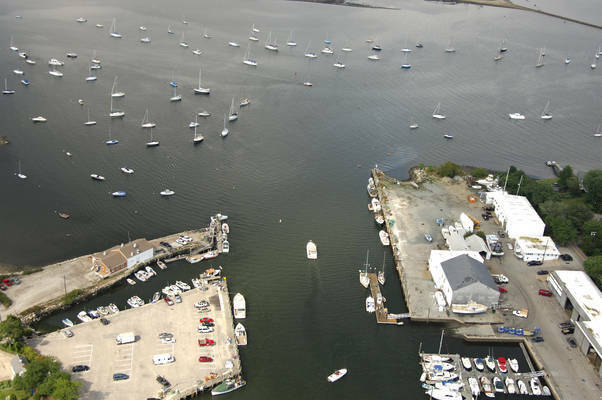 The inlet to the harbor is deep and wide with 10- to 17-foot depths. Once you have cleared the breakwaters, chart a course for green can 7 at Marker Point (round it closely), and then round it to port to access Wickford Cove. 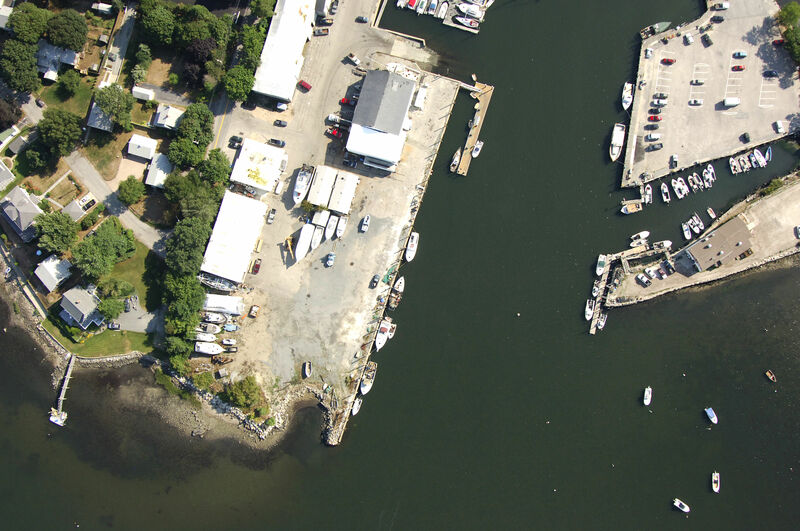 Inside the cove you will find two large marinas to port on entry, and then a large string of moorings to starboard that lead all the way up to the town of Wickford. Wickford Cove has seven-foot depths all the way to the bridge at Wickford. No reviews yet! 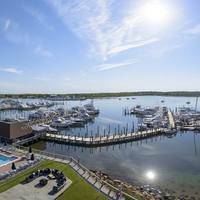 Be the first to write a review of Wickford Cove Inlet.